I Was Part of the Iraq War Surge. It Was a Disaster. The 2007 surge strategy wasn’t a success—and it’s not a template to follow. For many career soldiers, the surge era (2007–11) provides a kind of vindication for all those years of effort and seeming failure, a brief window into what might have been and a proof certain of the enduring utility of force. When it comes to that long-gone surge, senior leaders still talk the talk on its alleged success as though reciting scripture. Take retired general, surge architect, and former CIA director Petraeus. As recently as 2013, he wrote a Foreign Policy piece entitled “How We Won in Iraq.” Now “win” is a bold word indeed. Yet few in our American world would think to question its accuracy. After all, Petraeus was a general, and in an era when Americans have little or no faith in other public institutions, polls show nearly everyone trusts the military. Of course, no one asks whether this is healthy for the republic. No matter, the surge’s success is, by now, a given among Washington’s policy elite. CFR’s three guests—retired General Raymond Odierno, former commander of Multinational Forces in Iraq and now a senior adviser to JPMorgan Chase; Meghan O’Sullivan, former deputy national security adviser under President George W. Bush; and Christopher Kojm, former senior adviser to the Iraq Study Group—had remarkably similar views. No dissenting voices were included. All three had been enthusiastic promoters of the surge in 2006–07 and continue to market the myth of its success. While recognizing the unmistakable failure of the post-surge American effort in Iraq, each still firmly believes in the inherent validity of that “strategy.” I listened for more than an hour waiting for a single dissenting thought. The silence was deafening. In November 2006, just a month into our deployment, Democrats won control over both houses of Congress in what was interpreted as a negative referendum on that war. A humbler, more reticent or reflective president might have backed off, cut his losses, and begun a withdrawal from that country, but not George W. Bush. He doubled down, announcing in January 2007 an infusion of 30,000 additional troops and a new “strategy” for victory, a temporary surge that would provide time, space, and security for the new Iraqi government to reconcile the country’s warring ethnic groups and factions, while incorporating minority groups into the largely Shiite, Baghdad-based power structure. Soon after, my unit along with nearly every other American already in theater received word that our tours had been extended by three months—15 months in all, which then seemed like an eternity. I sat against a wall and chain-smoked nearly a pack of cigarettes before passing the word on to my platoon. And so it began. In addition, the US military had successfully, though again only temporarily, convinced many previously rebellious Sunni tribes to switch sides in exchange for money, support, and help in getting rid of the overly fundamentalist and brutal terror outfit, Al Qaeda in Iraq (AQI). For the time being, AQI seemed to the tribal leaders like a bigger threat than the Shiites in Baghdad. For this, the Sunnis briefly bet on the US without ever fully trusting or accepting Shiite-Baghdad’s suzerainty. Think of this as a tactical pause—not that the surge’s architects and supporters saw (or see) it that way. Which brings us back to that CFR panel. The most essential assumption of all three speakers was this: The US needed to establish “security first” in Iraq before that country’s government, set in place by the American occupation, could begin to make political progress. They still don’t seem to understand that, whatever the bright hopes of surge enthusiasts at the time, no true political settlement was ever likely, with or without the surge. America’s man in Baghdad, Prime Minister Nouri al-Maliki, was already in the process of becoming a sectarian strongman, hell-bent on alienating the country’s Sunni and Kurdish minorities. Even 60,000 or 90,000 more American troops couldn’t have solved that problem because the surge was incapable of addressing, and barely pretended to face, the true conundrum of the invasion and occupation: Any American-directed version of Iraqi “democracy” would invariably usher in Shia-majority dominance over a largely synthetic state. The real question no surge cheerleaders publicly asked (or ask to this day) was whether an invading foreign entity was even capable of imposing an inclusive political settlement there. To assume that the United States could have done so smacks of a faith-based as opposed to reality-based worldview—another version of a deep and abiding belief in American exceptionalism. Sadly, that panel still epitomizes respectable thought on the Iraq surge and what followed from it. Here’s the problem: Republican (and some Democratic) policymakers, along with supposedly “outside the box” military commanders, confused new tactics with an effective strategy, which, in the wake of the disastrous decision to invade, may have been a contradiction in terms. Add in an additional myth—that the US military turned on a dime in 2007, empowering a set of truly creative, open-minded thinkers, who brought America to the edge of victory—and you have the makings of the surge legend. While surge-era generals like Petraeus and Odierno and younger colonels like John Nagl and Peter Mansoor were intelligent, competent officers, when it came to Iraq their strategic insights and worldview remained surprisingly narrow and conventional. Their bedrock belief was that somewhere in the Iraqi chaos there just had to be an American military solution. Enamored with the magical efficacy of counterinsurgency tactics, they bet wrong on the capacity of the US government or its military to transform the chaotic, unmovable facts on the ground in Iraq. This might matter little today if senior officers who led the Army and Marine Corps during the surge hadn’t found their way into key positions in the Trump administration. To take one example, new National Security Adviser H.R. McMaster is something of a legendary figure in the US Army. A hero of the First Gulf War of 1991, he taught history at West Point, commanded a regiment in Iraq in the post-invasion years, fought national-level corruption in Afghanistan in 2010 and 2011, and recently led the Army Capabilities Integration Center—the organization charged with developing the Army’s future concepts and force modernization. A classic soldier-scholar with a doctorate in history, he authored a well-regarded book on the Vietnam War. I count myself among his many admirers. Nonetheless, his elevation to a policy-making position should raise troubling questions, since he, too, is a surge admirer. In 2005–06, then-Colonel McMaster commanded the 3rd Armored Cavalry Regiment in Tal Afar, Iraq, a city wracked by insurgency and riven with sectarian divisions. According to surge lore, he oversaw a miracle turnaround of the situation in that dangerous city, previewing the Petraeus surge to come. It’s a story that briefs well and McMaster’s unit did indeed achieve some notable successes during its one-year deployment, but—and this is a big “but”—those gains proved fleeting. 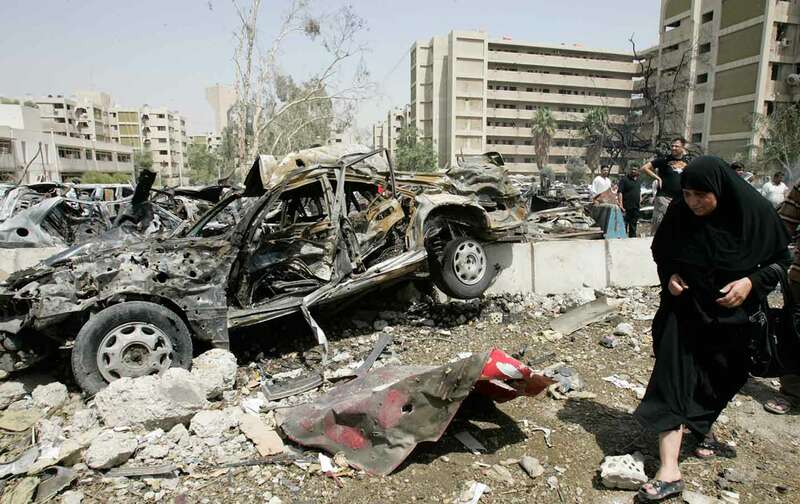 The Sunnis of that city were never reconciled with the Shiite-dominated Baghdad government nor were their grievances addressed, so violence returned. In 2014, just three years after the departure of US troops from Iraq, Tal Afar became one of the first Iraqi cities conquered by the militants of the new Islamic State. In less drastic but still detrimental fashion, in the years after 1973, the new all-volunteer US Army grew increasingly estranged from the civilian population. This was, in part, because many veteran officers blamed America’s defeat in Vietnam on home-front antiwar protestors who were (gasp!) simply exercising their constitutional rights. Perhaps in place of self-serving, vindicating myths, an honest, critical, and realistic assessment of the past would better advance future strategy and operations. Those Council on Foreign Relations panelists, the vast majority of my fellow military officers (in my experience), and a surprisingly bipartisan array of congressional representatives still perpetuate—and seemingly believe—not only the surge myth, but the stale, discredited ideologies at its root: American exceptionalism, this country’s supposed status as the globe’s “indispensable” nation, and the magical capabilities of our high-tech military. Ironically, US military doctrine purports to value “critical” and “creative” thinking. Unfortunately, that emphasis hardly fits with the realities of promotion and command selection. A recent empirical analysis by faculty from West Point’s Department of Behavioral Sciences and Leadership concluded that “promotion and command boards may actually penalize officers for their conceptual ability.” In other words, more intelligent, educated, and skeptical officers—those with “higher cognitive ability,” according to the study—don’t fare so well in the competitive promotion game. Colonel Dale Eikemeier and Arthur Lykke Jr. have suggested that effective strategy involves the balancing of ends (desired outcomes), ways (methods), and means (available resources), while limiting risk. At least retrospectively, it boggles the mind that, in 2006–07, a plurality of political and military thinkers presumed Washington could successfully achieve such an equilibrium in Iraq by military means. As they defined them at the time, their desired outcomes were outrageous: halt a brutal sectarian civil war, defeat a nationalist-Islamist insurgency, facilitate a political settlement in an ethno-religiously divided synthetic state, and restore essential civil services. In what universe did policymakers expect our means—a finite professional (non-conscripted) army in an alien land with help from the State Department (whose staff globally is about the size of one army division)—to achieve such wildly inflated ambitions? Memory is a tricky thing. As historian Dale Andrade wrote, “No matter how the war in Iraq ends, it seems likely that it will soon replace Vietnam as the military’s new touchstone for lessons learned.” Under the circumstances, that’s scary. Just as the military and public misunderstood Vietnam, too many contemporary officers and politicians rely on a mythical rendering of the ongoing Iraq War. That memory will, in turn, deeply influence what Americans learn from the enduring campaigns in the Middle East and so tragically shape future US military strategy. Now, look at that photo of mine one more time and consider the real-world costs of strategic failure. Four of those men are dead; one is paralyzed; and three of the others were wounded. That was 10 years ago, and as for the Middle East, it’s worse than we found it. Thought about a certain way, in the end it wasn’t the US military, but various terror groups that surged most effectively.